We’ve all been there. You load up a stream and the outline of the streamers chair melds seamlessly into the game they’re playing. No messy backdrop, or large unwieldy webcam rectangles anywhere in sight. Instant stream envy (looking at you Naysy). Later, you open your streaming software and recoil at the mundane, cluttered backdrop of your webcam. Yikes. As a content creator, you likely want to get the aesthetics of your video just right. 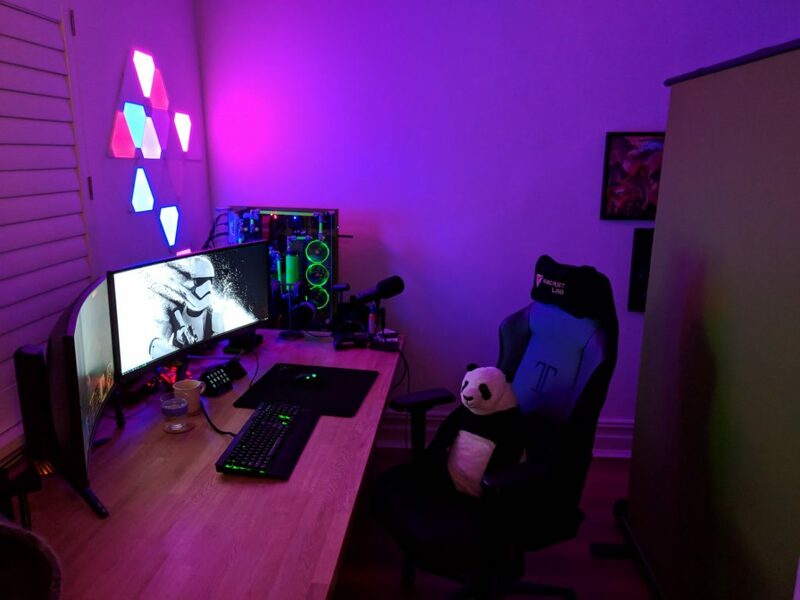 While a select few will have a beautiful gaming lair to show off on camera, full of ambient RGB lighting and nerdy paraphernalia (PhizziTV), most don’t. Enter the green screen. 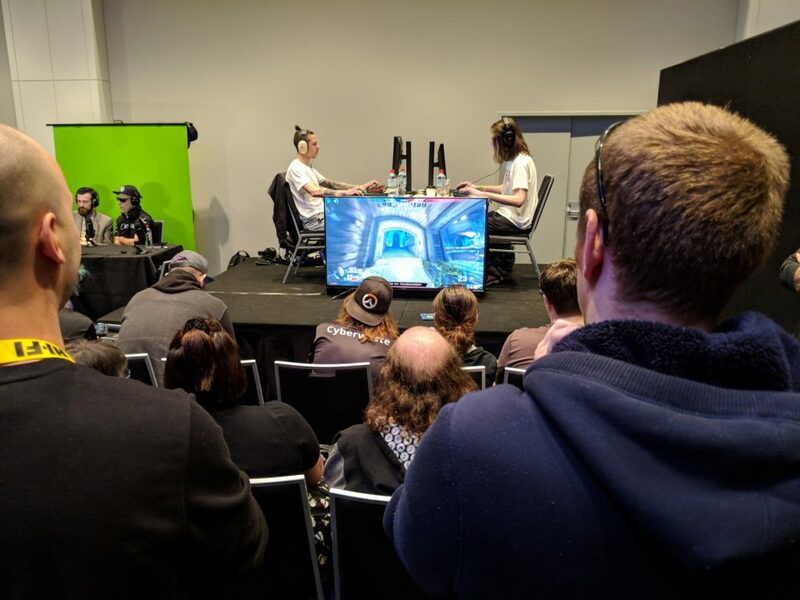 I didn’t really get bitten by the green screen bug until I saw one in action at the Melbourne Esports Open last year, where Bethesda used one for a live stream of a Quake competition. More specifically, an Elgato one, and it instantly became clear how quick and easy it was to use this thing. Minutes after carrying one over from the Elgato stand, they had a great looking stream set up, complete with a Quake graphic, rather than a mundane cream wall. Larger cloth and frame style. Cost effective and large, but needs more space and is more at risk from a breeze or a curious cat. Smaller cloth and frame style. Fairly compact and easy to use. Middle of the pack in terms of price. Flimsy, would not survive danger cat. Back of the chair style. Cheap and compact, but it’s connected to your chair. 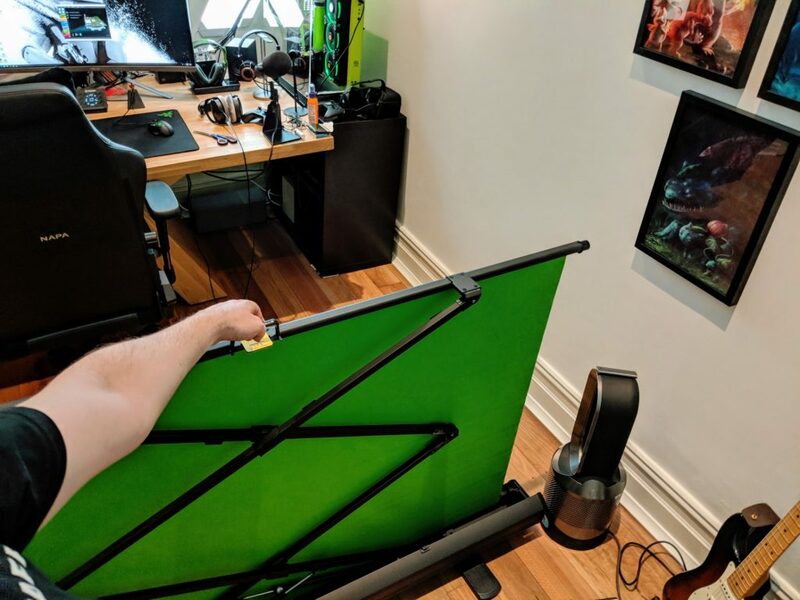 Given how much I move on my chair when streaming, that’s not ideal. Roll up style. Compact, sturdy and mobile. The only downside is that these are more expensive. Easy to see why Elgato chose this design. As I’m reviewing the Elgato green screen, it should be pretty obvious what my choice was but let’s chat through why I chose the Elgato. Given the layout of my gaming lair, I needed something portable, which ruled out the cheapest, and largest framed option. 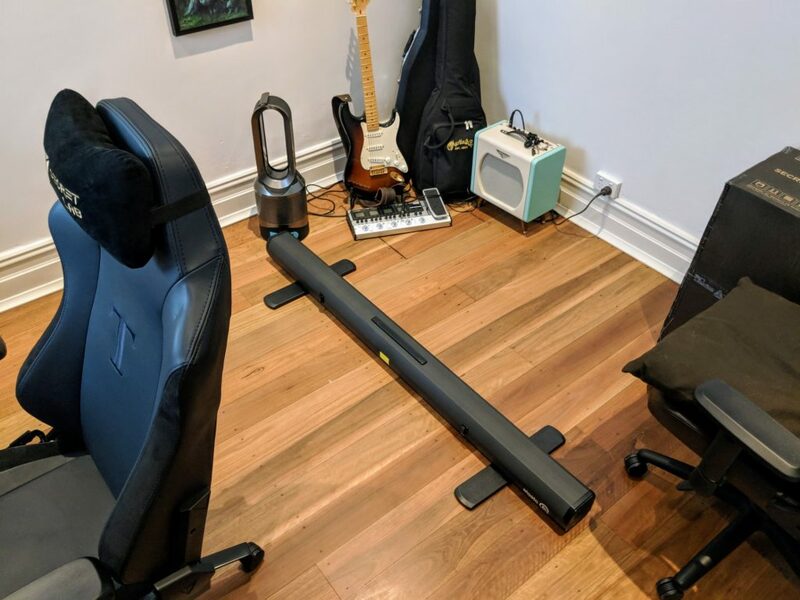 The chair mounted option looked a bit more like a meme than a real solution, especially as I move my chair a fair bit. One would need to stay stationary permanently to make the chair screen work, so I hit the pass button. This left the small framed screen and the Neewer alternative to the Elgato. The former looked much too flimsy and my cat Loki is huge. He would destroy it. The final decision came down to the Neewer and the Elgato. Neewer products generally are ok, albeit flimsy. I’ve had one of their mic arms break on me, which didn’t give me much confidence in the epic cat vs screen battle. This made it a pretty easy win for the Elgato that I’d seen in action at MEO. 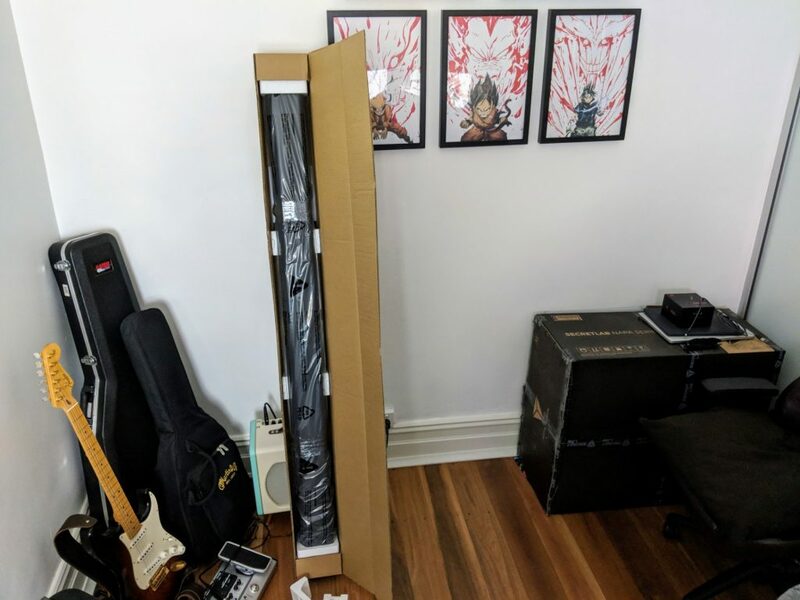 When my screen arrived, the first thing I realised was how heavy this thing is. At a little over 9kg, Elgato are not messing around. This thing feels like it’s built like a tank. As you’ll see in the pictures below, packaging is simple, but effective. It’s literally the box, some foam and a plastic wrapping. Unboxing it is a painless minute of your life, as there’s literally no setup required. Simply twist the feet, put this hefty boi on the floor, and you’re good to go. 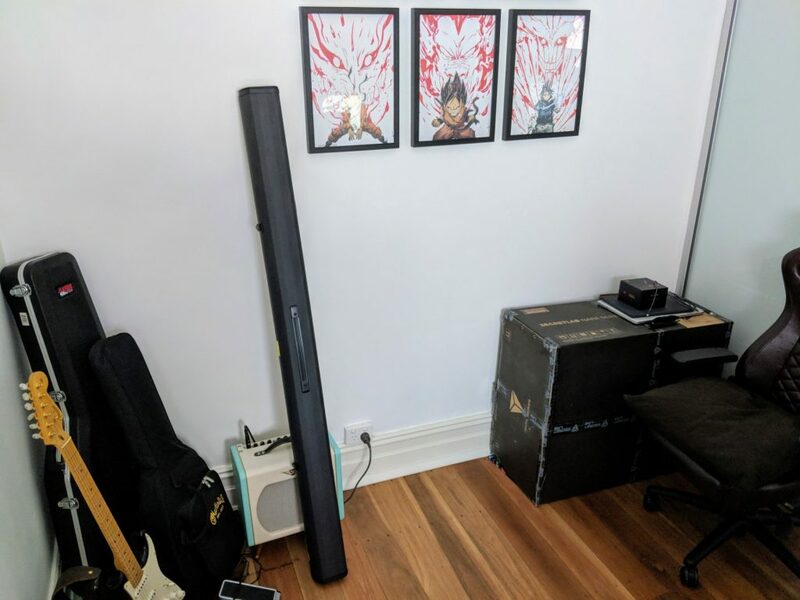 The screen measures up at 1.8m high by 1.5m wide and below you can see how that translates into my gaming environment. 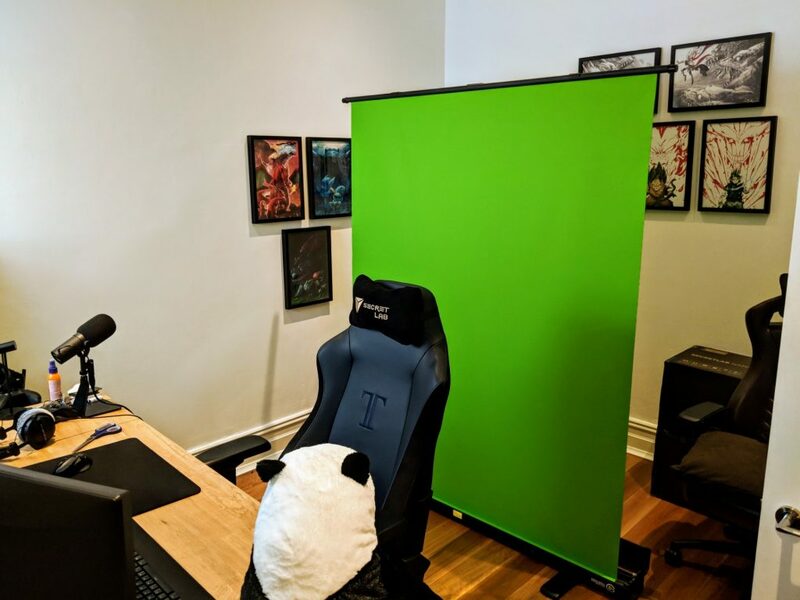 While I’d like it to be a bit wider (I’m a giant, with the arm spread of an eagle), it would probably prove a bit too big for most people’s streaming environments. 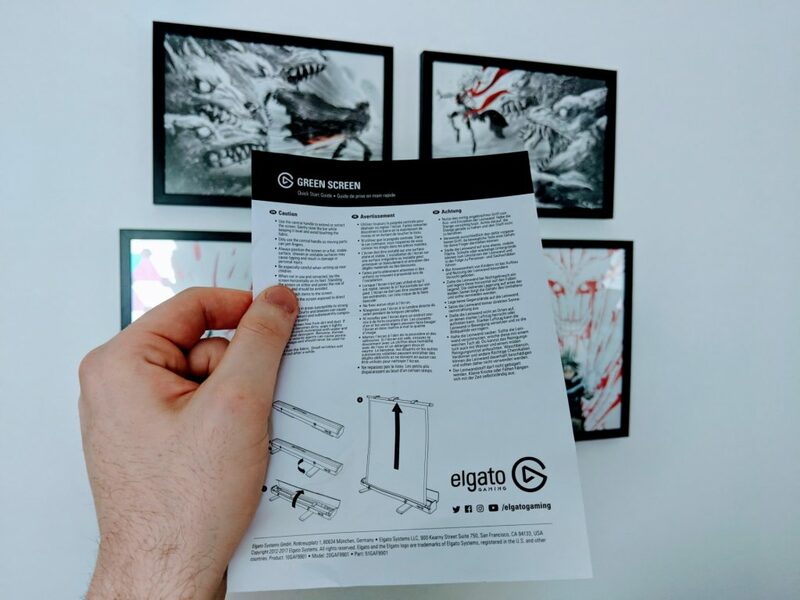 Elgato have likely got things just right here. Quality wise, the hard shell case is made of aluminium and the screen itself is made of Dacron polyester. Dacron polyester is made by DuPont (One of the leaders in scientific textiles) and it’s known for its durability, consistency, and quality. Dacron, unlike natural fibers, is hypoallergenic, non-absorbent, and mildew-resistant. While there’s definitely a fair bit of marketing jargon in there, the result is a tough, fairly stiff material that feels like it’s going to last a long time. 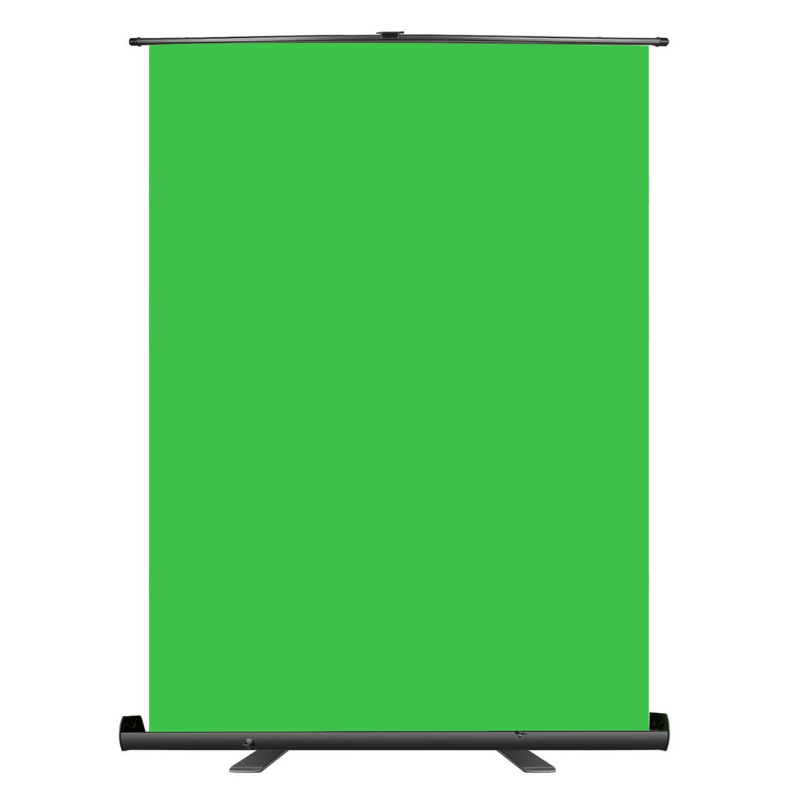 The fact that it’s not going to wrinkle is important, because shadows are the nemesis of green screens. Using the screen is as easy as unboxing it. It’s a simple lifting of the lid, grabbing the handle and pulling the screen up. The mechanism is smooth and is very stable, and despite my initial concerns that it may come tumbling down, or falling over, it proved to be rock solid. The complete opposite of any other type of roll up banner I’ve ever used, which is why I was nervous in the first place. When you’re done, simply do the reverse, and the screen is out of the way, leaving you so much room for activities. Not to mention, keeping it safe from curious kitty claws. In practise I could very easily put the screen behind my door when I’m not using it, but its equally as easy to leave it where it is in my room. 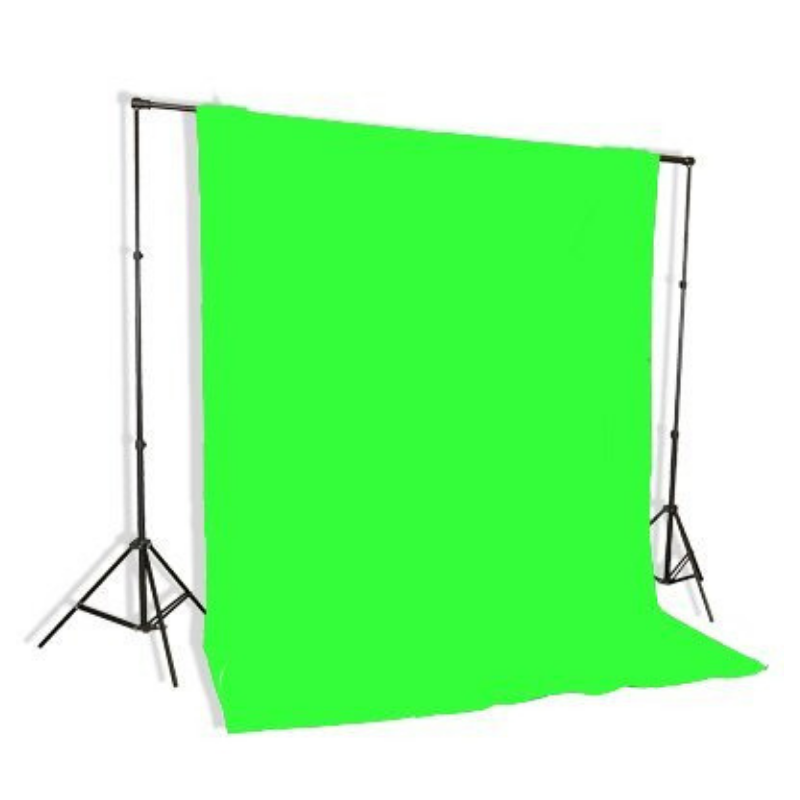 When it comes to performance, the green screen works incredibly well, provided you have your environment set up for a one. Those that have used one before will know that you need a lot of light, on both the screen and on yourself. This often means separate lights for the screen and for you, to ensure that there aren’t any shadows. Lack of light and shadows wreak havoc with green screens and you’ve definitely seen what that looks like. 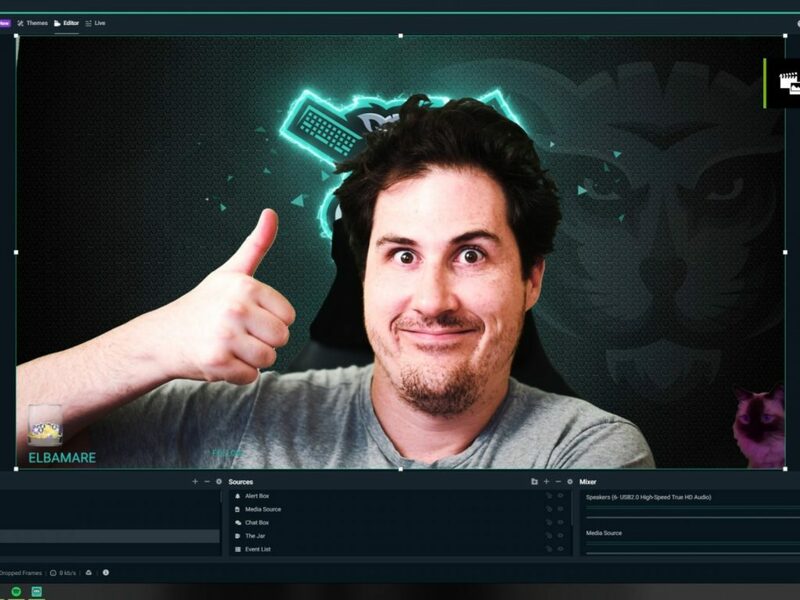 Pixelated areas on the screen and visible borders of the webcam box break immersion and make it look worse than it did without the green screen. So, the Elgato Screen is well made and easy to use, but at USD 160, it’s a fairly hefty investment. That’s USD 110 more than the cheapest option I listed. So, is it worth it? Well, that depends on your budget and what you want to do with it. If you’re a student living on Indomie noodles, then you may want to prioritise food over a green screen. If you’re on the other end of the spectrum and you’re looking for the best green screen you can get, then you’d be hard pressed to find anything better than the Elgato. Somewhere in the middle? I think the portability of the green screen is where it really shines. This is true both within and outside of your home. If you’re streaming from your parents lounge, but don’t want your moms doilies and ceramic cats ruining your Fortnite aesthetic, it’s perfect. 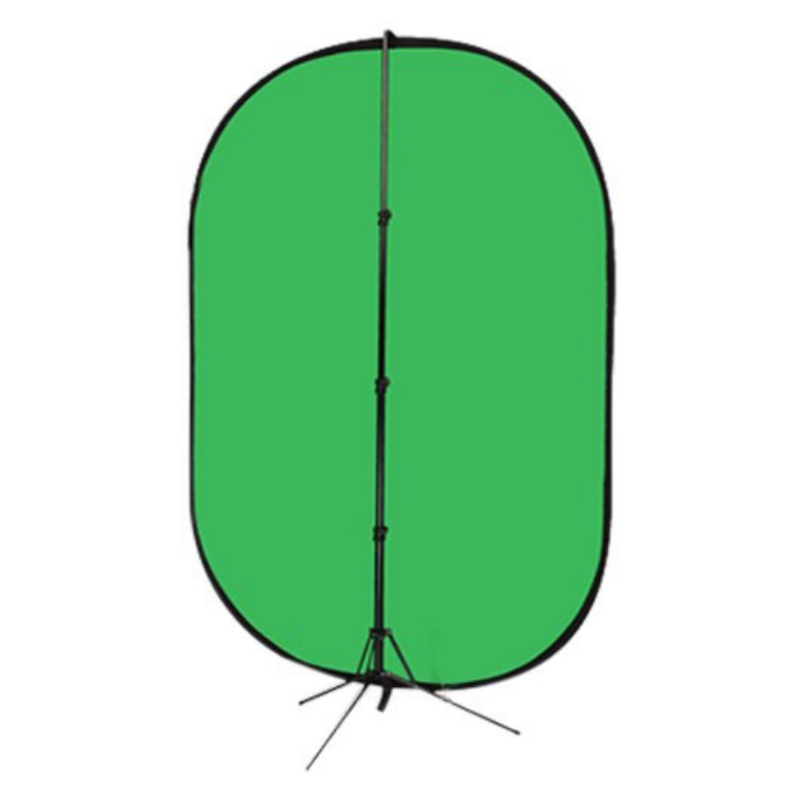 Pop up the green screen, win at life, and then pack it away before your mom rants at you about the giant green contraption in the living room. The same is true of shared houses, your room, or pretty much anywhere else. 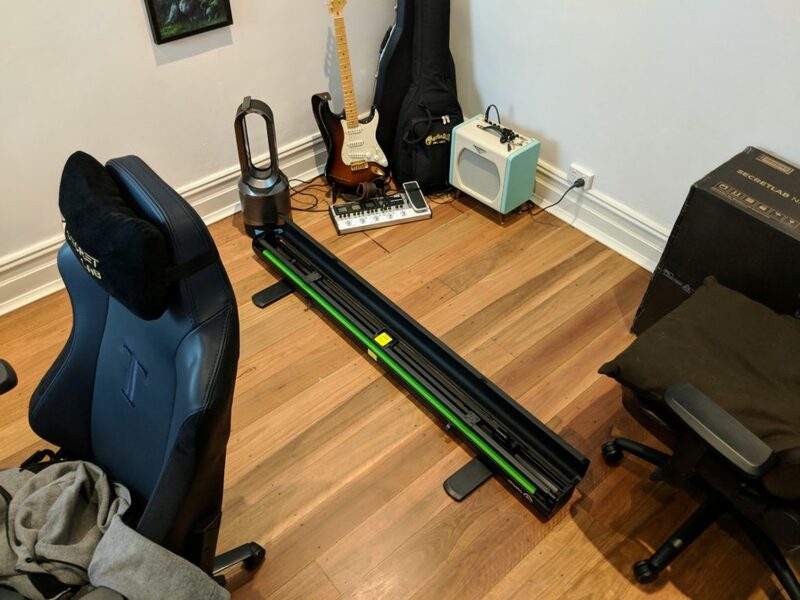 For me, a large framed green screen would block access to half of my room, my guitar and my cupboard, so that wouldn’t work. The portability of this screen is exactly what I needed. 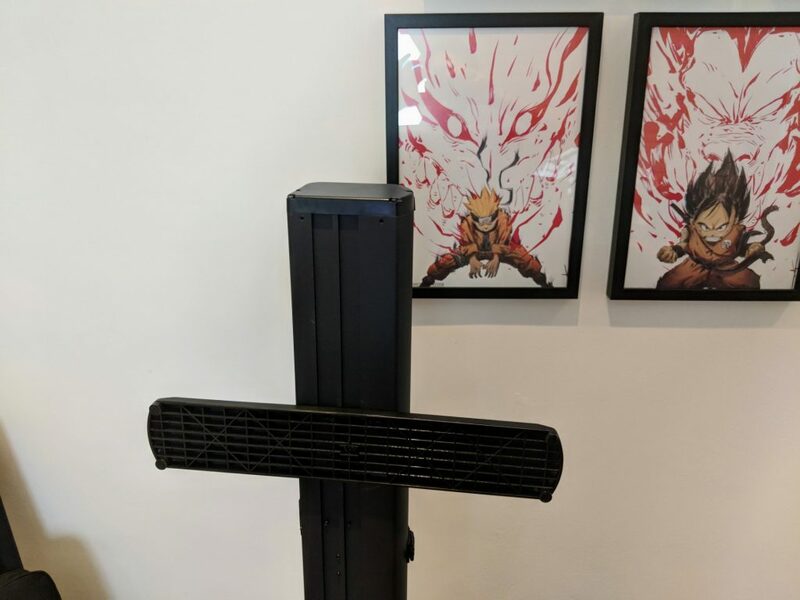 Out of your home, it’s perfect for content creators and brands that attend events like PAX, where streaming or video conditions in your booth may not be perfect… just remember to bring some lighting. 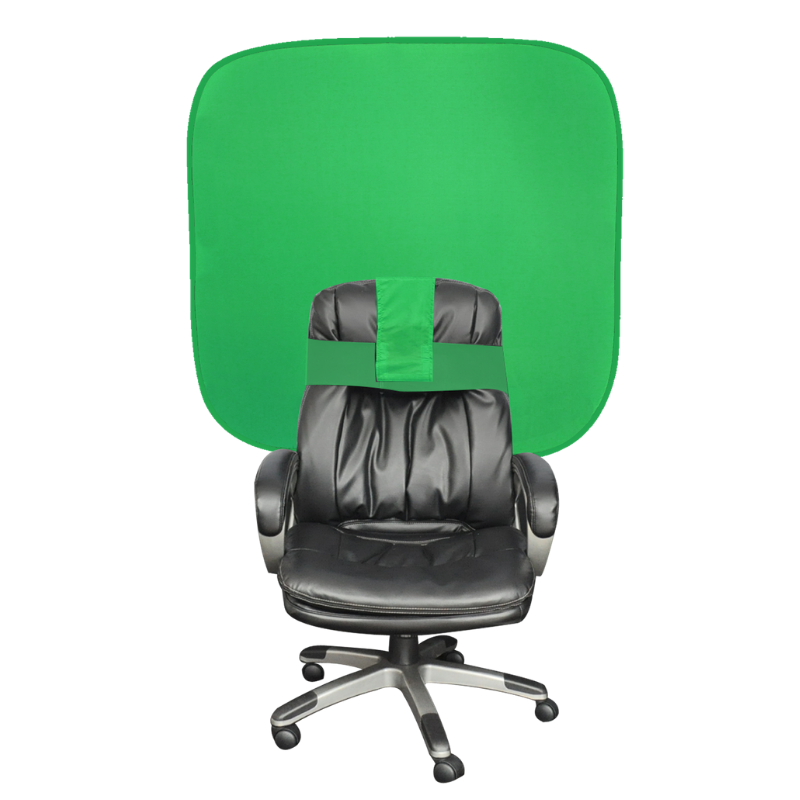 When I thought about summarising my experience with the Elgato Green Screen, all that came to mind was that you pop it up, and it works. Which I think is the biggest compliment I can give it. There’s no hassle at all. It just works… and it looks and feels like it’s built to work for a very long time. 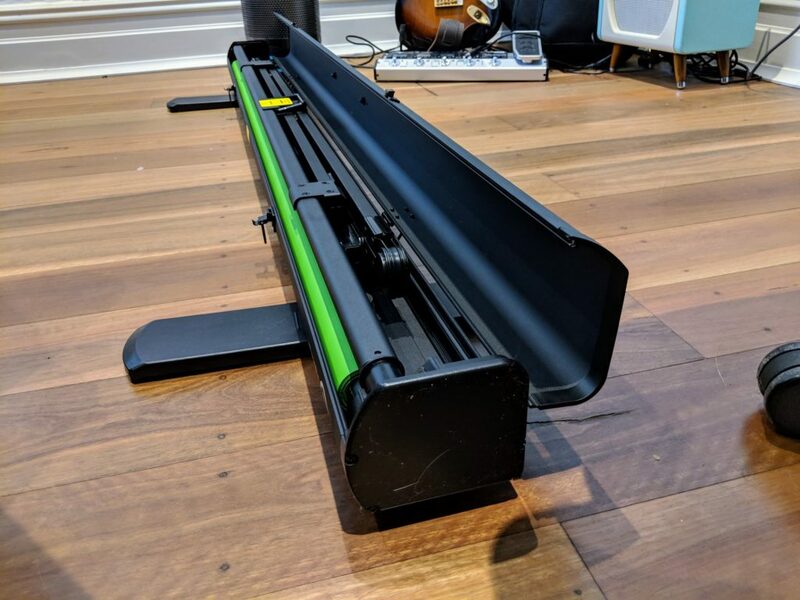 If you’re a looking for a green screen, I think the Elgato is a great choice, provided you can afford it… and if there’s even the slightest chance that you’re going to have to move your green screen at any point, getting the Elgato should be a no brainer. The only thing I can critique is that there are times when I want the screen to be a tiny bit wider, but that’s more nitpicking than anything else.